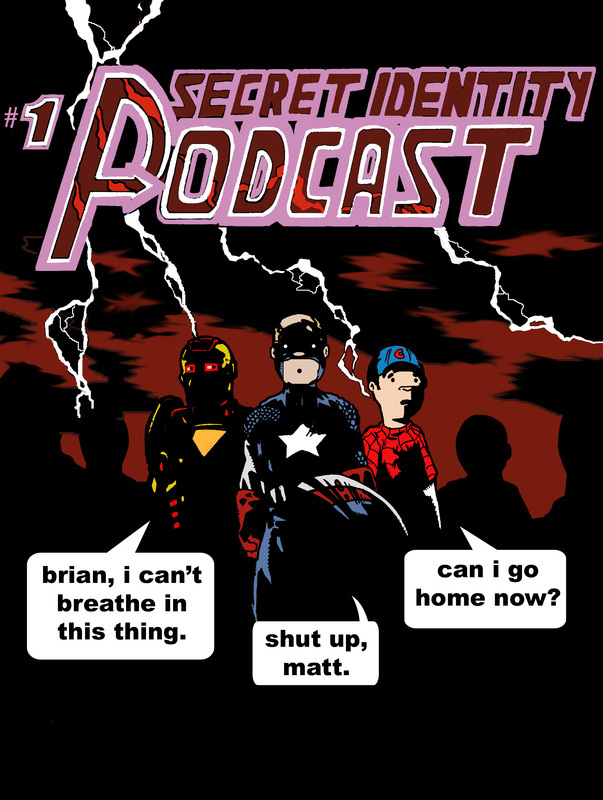 What Is The Secret Identity Podcast? 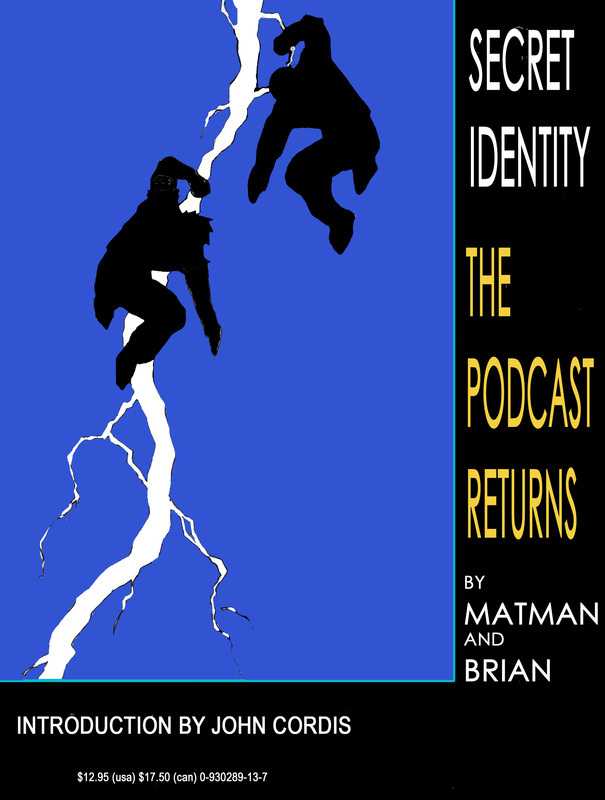 The Secret Identity Podcast began in March of 2006, when Brian LeTendre (me) and Matt “Matman” Herring decided to start recording the conversations we had about the hobbies we loved. 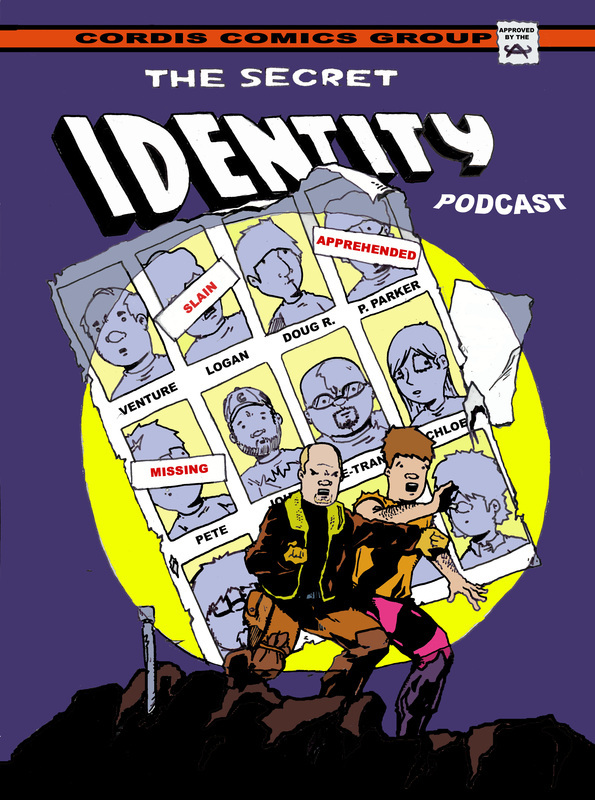 Covering comics, games, movies and more, the Secret Identity Podcast was published twice weekly, and from 2006-2011, a week never went by without a brand new episode of Secret Identity coming out. We recorded over 1000 hours of “solid gold ear candy,” and while there were 350 officially numbered episodes during that time, the actual episodes published were over 500. 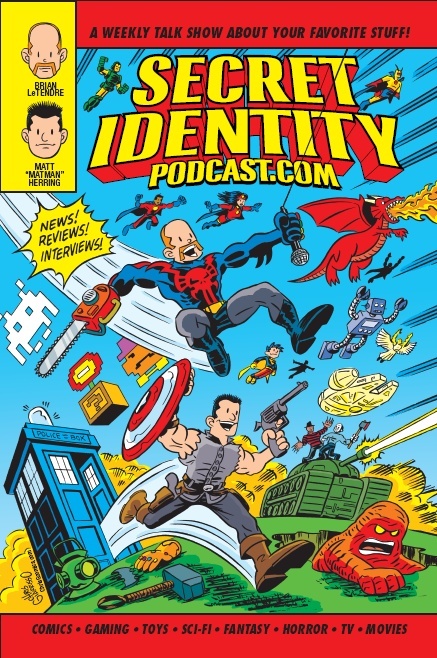 Interviews with more than 300 creators from the comic, game, movie and television industries were featured in episodes of Secret Identity. 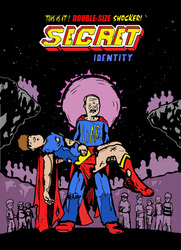 In July of 2011, we broke our streak of consecutive shows, and retired the original version of Secret Identity. 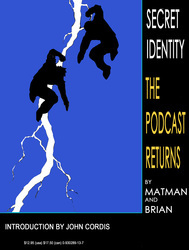 August of 2011 saw the relaunch of the podcast, with a new logo, a new format, and a new website. 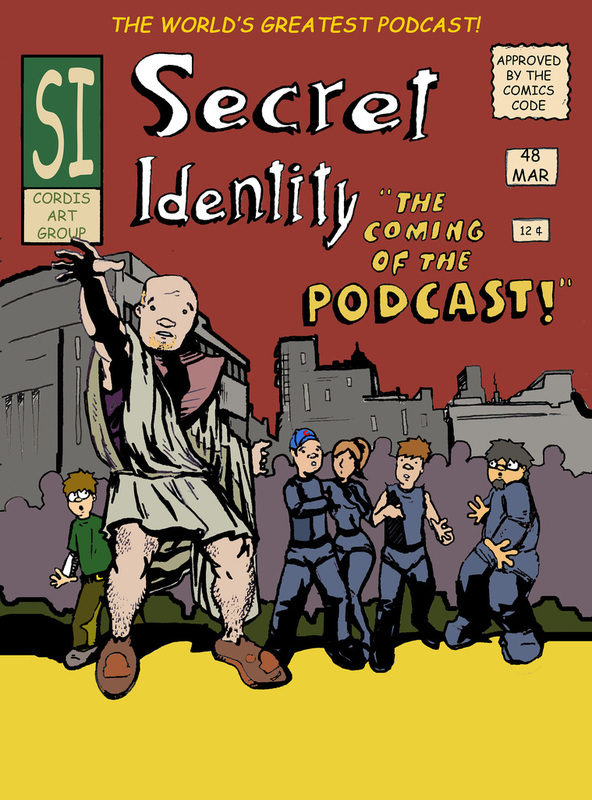 Dubbed the All-New Secret Identity Podcast, the core of Secret Identity remained the same--we published two podcasts a week. 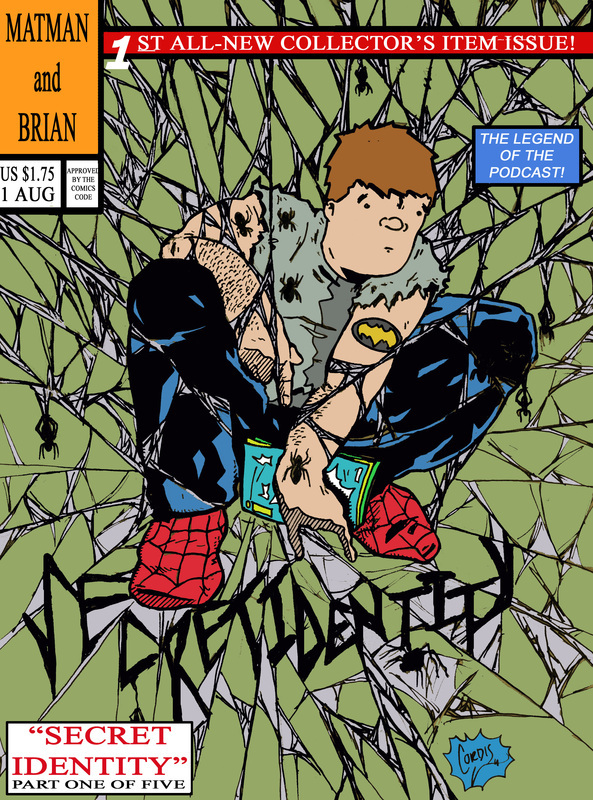 One weekly episode featured new comic reviews, with one classic comic review (the “Out of the Longbox” segment). 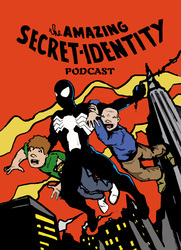 The second of the two weekly episodes was more of a departure from the previous version of Secret Identity, as there were a variety of different segments that made up that show. The Newsdesk features a discussion on what’s happening in the comic, game, television and movie industries. 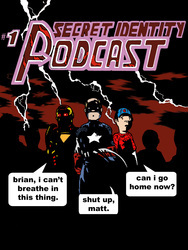 The segment also touches on the news, reviews and interviews being posted on the Secret Identity website, a roundup of community feedback from the SI message boards, and interviews with creators. We discuss our favorite shows and movies. 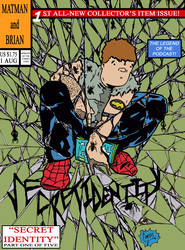 Trade-Off takes a closer look at trade paperbacks or collected series, both new and old. 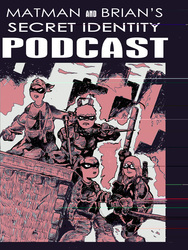 We also have a segment called Required Reading, which will take a look at one character and discuss the best issues or trades to find out more about them. 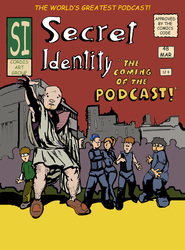 The All-New Secret Identity Podcast ran for 49 episodes, from August of 2011 until February of 2012, when the format changed once again, and the series returned to its original numbering with epsiode #400. 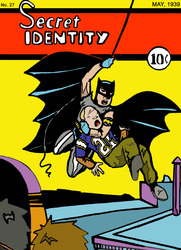 This change was necessitated when we were given the opportunity to get Secret Identity on broadcast radio. 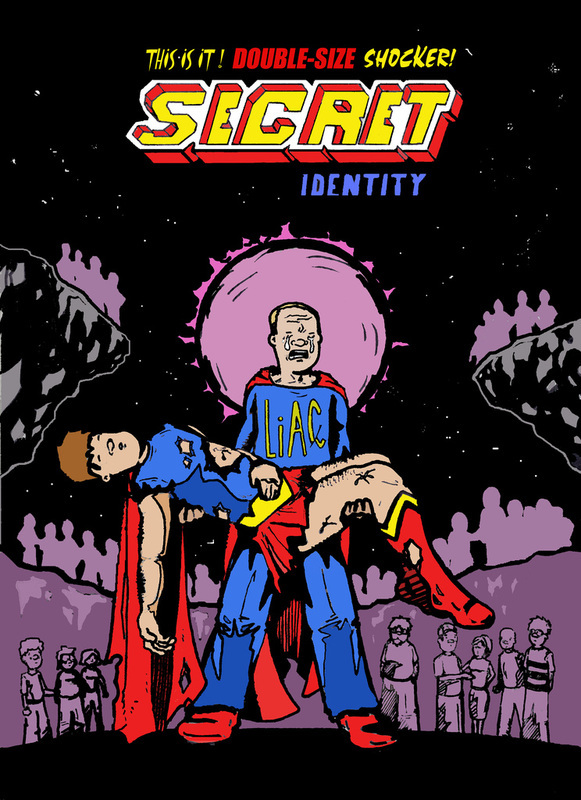 Secret Identity was still a twice-weekly show, with both shows being an hour long. 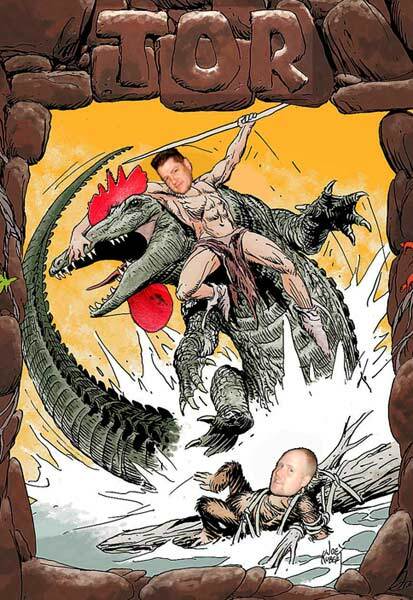 The first episode of the week was still all about comics, but the second episode was formatted more for radio, with ten-minute segments in order to facilitate the radio ads. Even with the new format, that second episode still featured news, comic reviews, TV and movie discussion and a weekly interview. A good friend of ours--Mike Thompson--was the GM of Adirondack Broadcasting at the time. Secret Identity was aired a few times on WKBE 100.1 The Point before getting a regular slot on 1410 WENU out of Queensbury New York every Sunday night at 8pm, as part of the “Sunday Talk Block.” That lasted for almost two years, before format changes at that station (and Mike moving on) resulted in the end of Secret Identity’s radio run. Since that point in 2013, the format of the show has remained largely the same, however the episodes tend to run longer, as the segments are no longer limited to the ten-minute format the radio schedule necessitated. 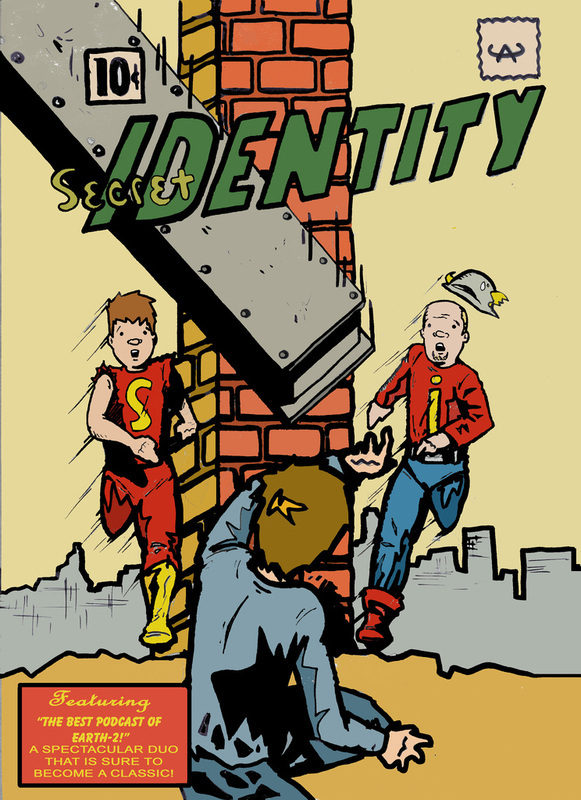 In December of 2015, we recorded the 700th numbered episode of Secret Identity. In that time, we have produced over 1500 hours of podcast programming, featuring discussion on thousands of comics, movies, shows, games and the occasional album, as well as almost 450 interviews with creators (446 at the time of this writing, with dozens that have not been published yet). 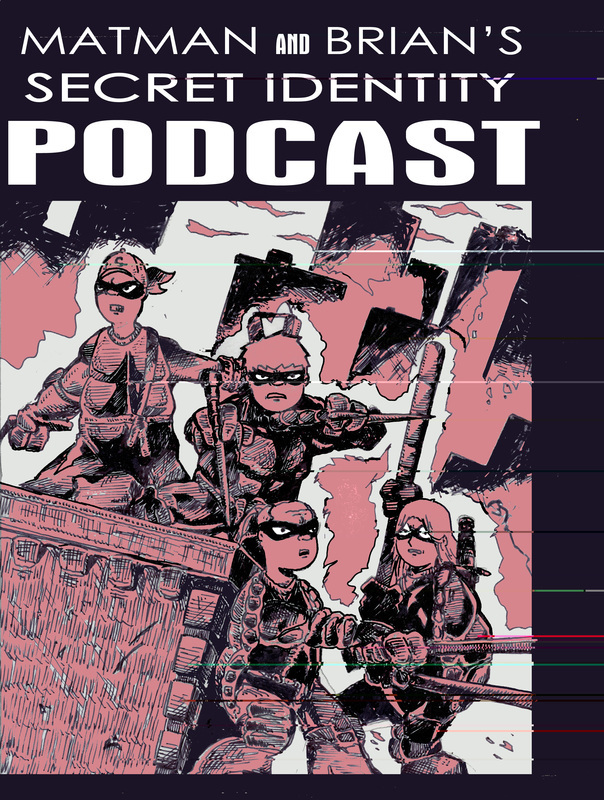 But more than any of those numbers, what we are most proud of is the wonderful community of listeners and friends that has built up around Secret Identity. From the very active forums of our early days, to our frequent emailer, to the almost 800-strong Facebook group, the places the SI community hangs out online have always been a safe and positive place to discuss the things we love. And even though many of the people who listen each week have never emailed or posted, when we see the download numbers, or run into a long-time listener at a show, we know you’re out there, and we thank you for spending so many hours with us over the years. Time is the most precious thing that any of us have, and the fact that you choose to spend some of it with us is something we will be forever grateful for. So, now that you’ve gotten a rundown of the format, where do you go from here? 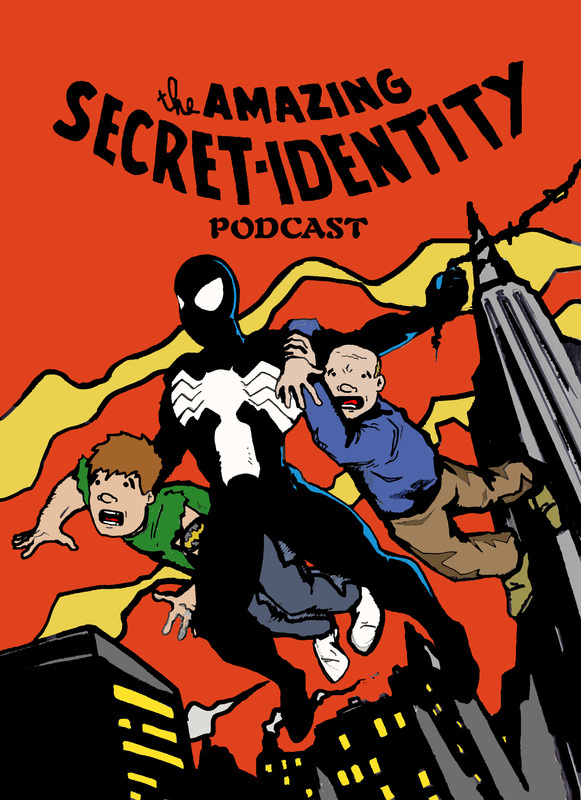 Well, you can listen to the latest episode of the podcast on our Listen Now page, check out What’s New on the website, or jump into the Forums and hang out with the awesome members of the Secret Identity community! 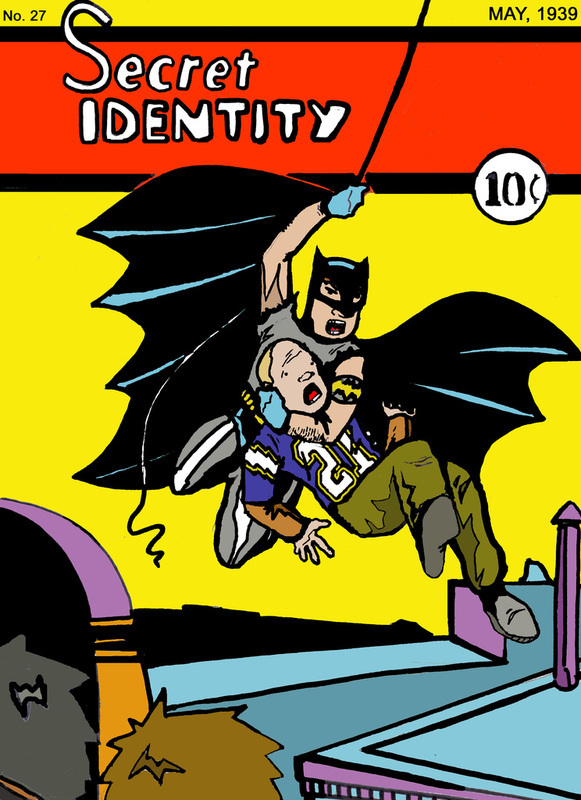 Below is a list of artists, creators, actors and all around great people that Secret Identity has interviewed. The number of the issue that they appeared in, as well as some of the work they are known for is listed as well. 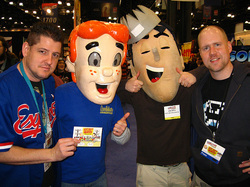 Please note, some of the past episodes are no longer available for download, but we are slowly getting the archives posted over on www.drivethrucomics.com and on www.archive.org, so there's a good chance you'll be able to hear them again.